Viewed from Kingman, (124) Alkeste will pass very close by the target star. This is called an appulse rather than an occultation because the main belt asteroid will come close to but not fully occult the target star. This is a practice campaign for RECON participants attending the Kingman workshop. As a demonstration for the group, we will sign up for the event as a single group on Occult Watcher. 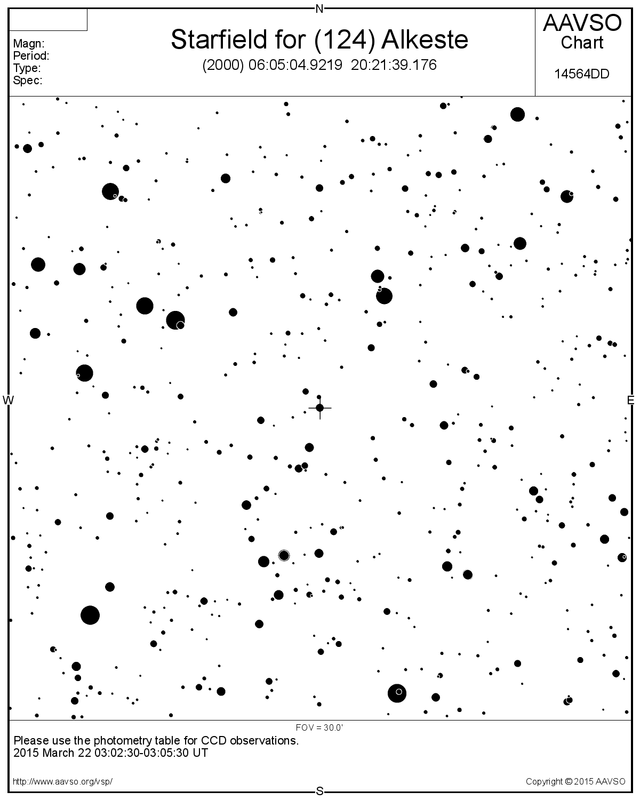 The following chart was generate using the AAVSO Variable Star Plotter, plotted to show field in camera when using a diagonal. North is up on diagram. 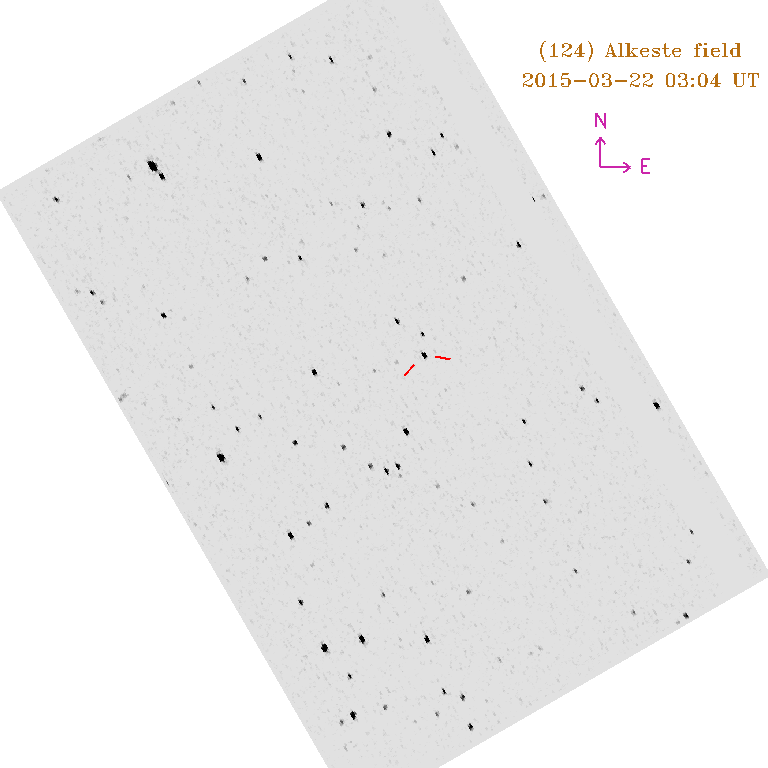 Starfield for (124) Alkeste showing field at 30 arcmins. Creasted using AAVSO VSP. The following star field image was provided by Marc Buie. Additional images are welcome! 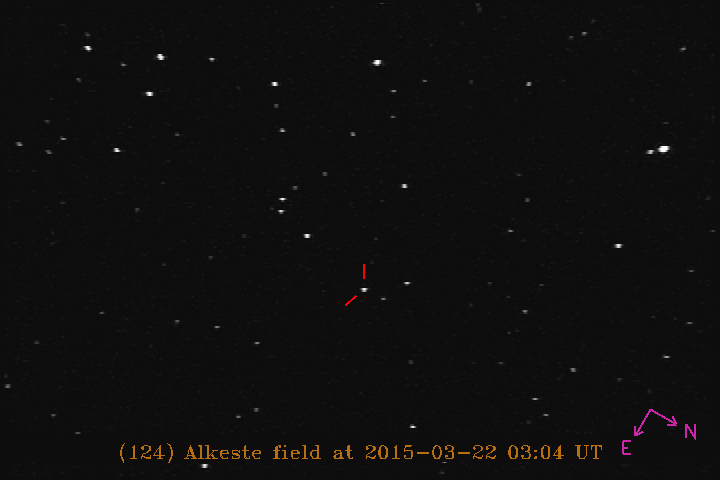 Image showing starfield for (124) Alkeste provided by Marc Buie. Here’s another version in which we have inverted brightness and rotated so north is up. Image of starfield for (124) Alkeste taken by Marc Buie. Image has been reoriented with north up. Following the event, please let us know how it went using our event reporting form.